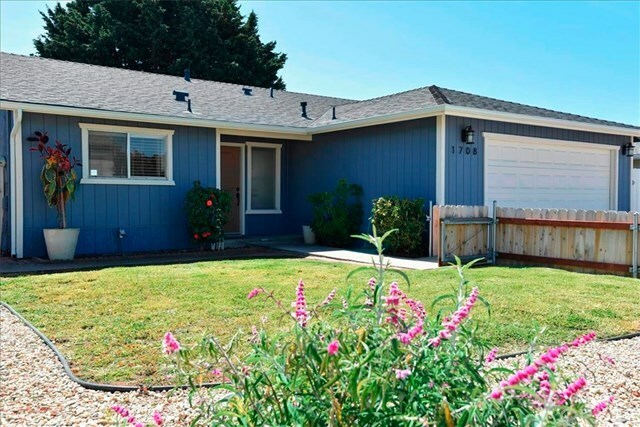 Fantastic 3 bedroom 2 bath Grover Beach home in great proximity to both beach and town! This is easy single level living at itâs finest. The living space is light and airy and also benefits from the coziness of a wood burning fireplace. Close to shopping, beach, transportation, and schools. Recent improvements to this home include a newer roof within past 4 years, carpet, paint, new Hepa filter and duct work installed, new rain gutter, and kitchen flooring. The front and back yards are fully fenced with low maintenance landscaping, a newer storage shed, and even producing fruit trees. All information deemed reliable but not guaranteed. Inclusions: Refrigerator, Shed, firewood, backyard firepit and workbenches in garage.